I love this one. 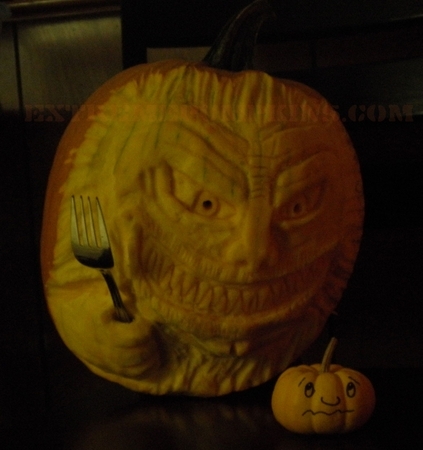 It's a great idea, putting the fork in the big pumpkin's hand. Brilliant. I chose a fun name for it too, The Fork You Pumpkin. Get it?